Get away from everyday life for the peace, beauty and unique experience of a short break on a llama farm. 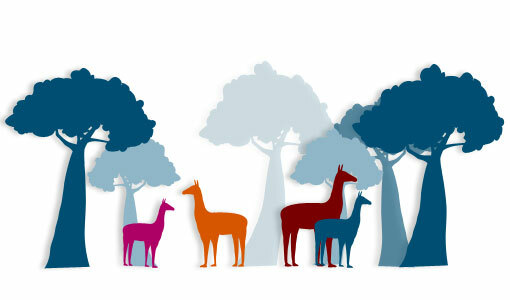 Set in acres of gorgeous countryside, surrounded by llamas and wildlife, undisturbed and at one with nature. 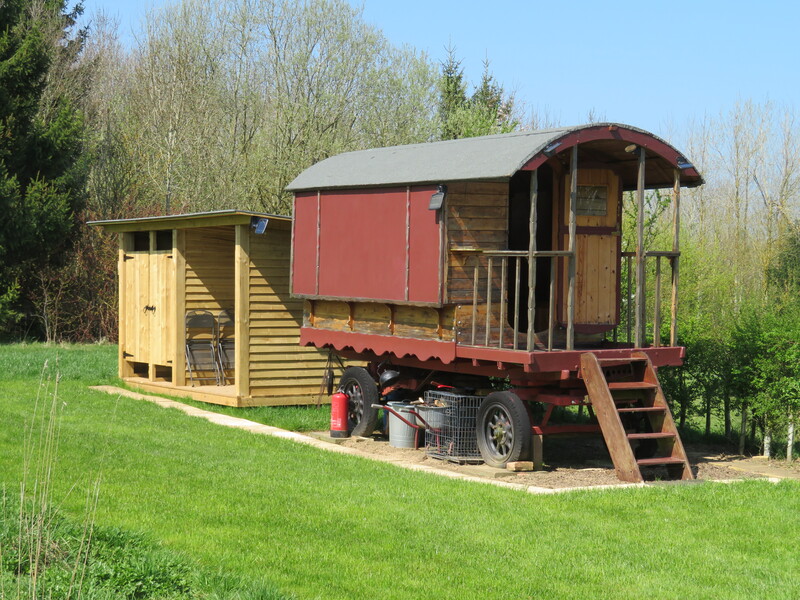 Catanger Farm has the pleasure of offering a traditional gypsy caravan and a shepherd’s hut for you to stay in. Each bespoke dwelling occupies their own secluded location on the farm. Relax and enjoy everything Catanger has to offer you, exploring the 20 acres of native woodland, watching baby llamas play or just drinking in the views and appreciating the tranquillity. 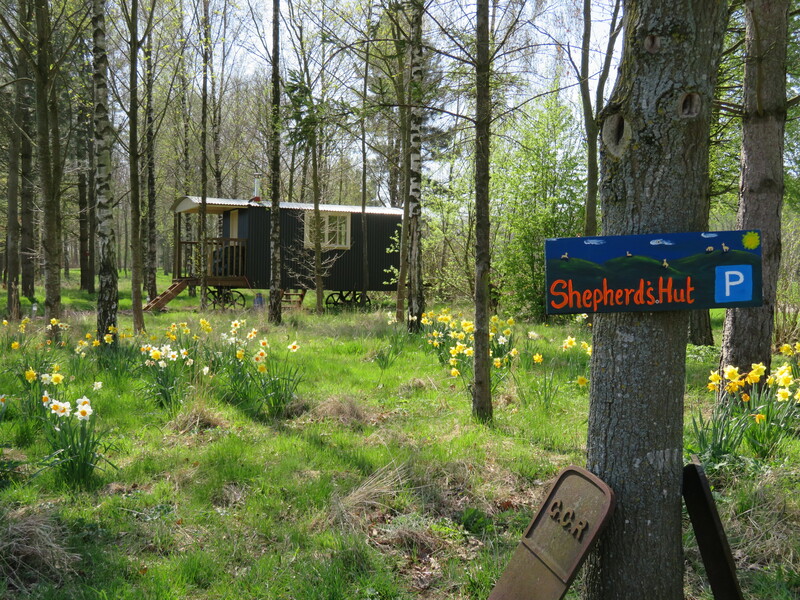 Nestled in our woods, yet only a mere 100 yards to the amenities is our luxurious shepherd’s hut. Hand built to our specification of wood and steel is a light, spacious, romantic place for two. Be at one with nature with stunning views at every turn; through the woods, for miles over neighbouring farmland as far as the eye can see and of course the llamas! A comfortable double bed, modern table and chairs, a wood burning stove and a balcony for cooking and relaxing. You also have a fire pit with seating for BBQ’s or just toasting your marshmallows whilst watching the sun set. Further down our land in a picturesque open spot just on the edge of the woods is our hand crafted, bow topped gypsy caravan providing a little touch of quirky charm. Decorated traditionally this wooden beauty has a cosy double bed and space for two camp beds (for children). There is a camp fire area for outdoor cooking and plenty of grass to play or relax on. We are happy for you to bring tents for extra friends or older children at an additional cost, great venue for hen parties or family gatherings. You have the breathtaking endless views of our farm, the llamas almost up to your door and the surrounding farm lands and all your facilities are right next door, exclusively for you… virtually en suite! Well behaved dogs welcome, our dogs will come and visit you! Visit our gallery for more photos of our on farm accommodation. Situated on the Northamptonshire/Oxfordshire border, there is much to see and enjoy. There are historic houses, churches and gardens, waterways, forest walks and sporting facilities. Antique and farm shops, horseracing and the Silverstone circuit are all within a few miles. Althorp, Stratford Upon Avon, Warwick, Oxford and the Cotswolds are all less than one hour away, which makes it an ideal base for discovering this beautiful part of the country. For availability and booking any of our accommodation please contact Mary Pryse 01327 860808 or email from the contact us page.